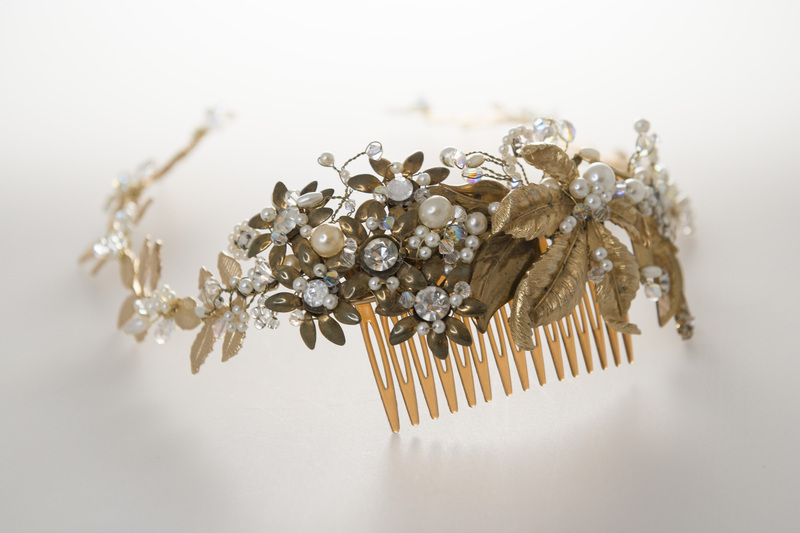 Gold Leaf Hair Vine incorporating original vintage gold leaf pieces and a smattering of swarovski crystal and pearls. 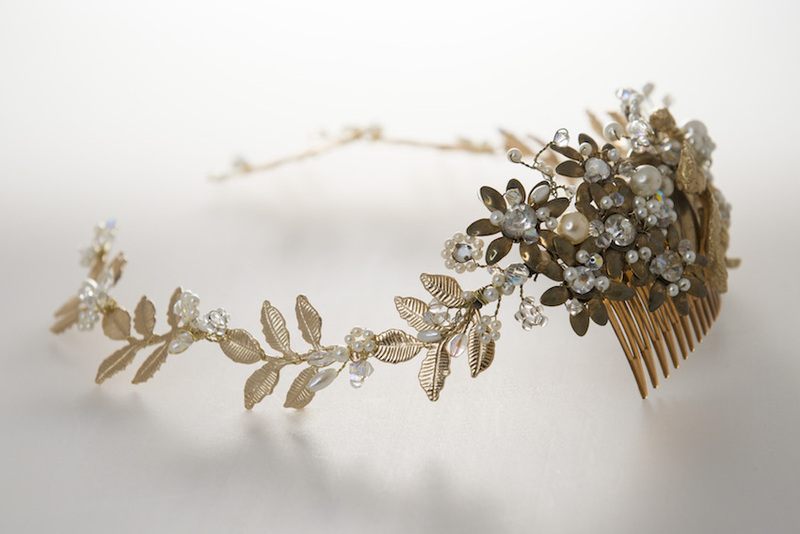 The 1940’s original pieces will vary making each and every vine unique and individual. 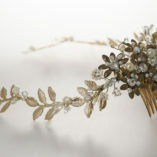 The main detailing is created on a comb to camouflage into the hair with the vines creeping up either side of the head. 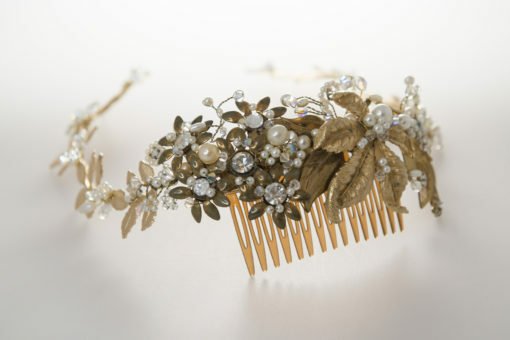 Categories: The Botanical Collection, The Rose Gold Collection, The Hairvine, The Comb. 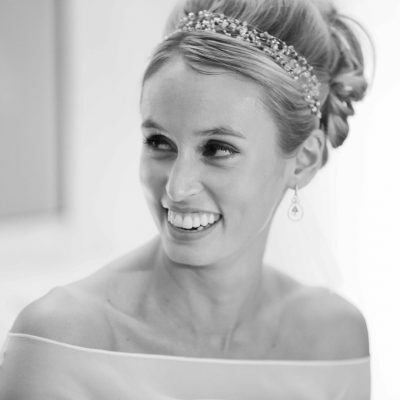 Tags: bespoke accessories, bridal accessories, couture wedding, designer wedding, destination wedding, gold hair accessories, Hair vine, rose gold, unique wedding accessories, wedding accessories.